Hallo good afternoon my friends, meet again with me, Bayu Adi Nugroho in this beloved blog. Who missed the moment BTC fly in the number 20k USD when the month of December 2017 yesterday? You must be very sorry if you can not get the moment. Since the incident, a lot of people are getting interested in the existence of cryptocurrency. The number of cryptocurrency users has increased dramatically and many new users are beginning to feel the benefits of doing business with cryptocurrency. Some are investing in ICO, some are trading, some are following a campaign, and so forth. But there are still obstacles that cause many people have difficulty when want to buy cryptocurrency. And all that because the act of the cryptocurrency exchanges. Currently Bitcoin's presence still occupies the top position according to data from CoinMarketCap. Then the second position followed by Ethereum, and the third is Ripple. The major coin ranks included in the top 5 are the favorite coins of the crypto community for investment. Because the liquidity of the koinn is already formed. And very unlikely if the big coins will fail to face a storm or crash. Then for cryptocurrency bursa platform, popular with highest daily trading volume is BitMEX, then followed by FCoin, Binance, OKEX, Huobi and others. BitMEX and FCoin succeed in dominating the market because they do not charge users fees, while market centralized, they charge a fee ranging from 0.1% to 2% to the users, which causes the profits of the traders to be reduced. In addition, the platform of cryptocurrency bursa end of this time a lot of cases of hacking, which causes market conditions to crash. 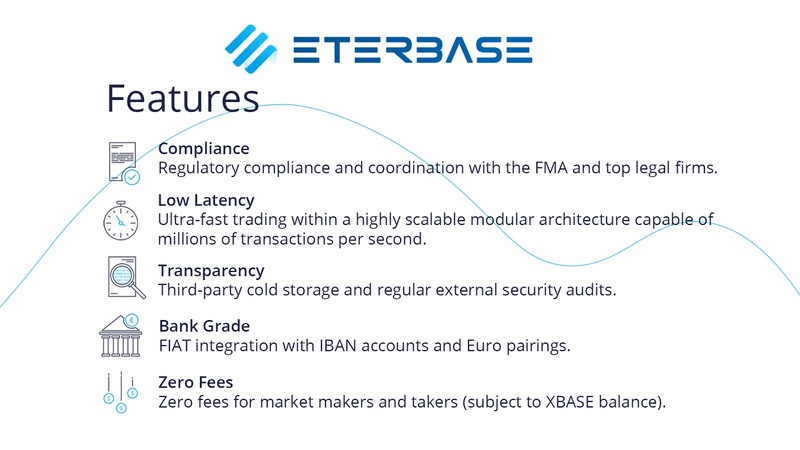 ETERBASE is Europe's regulatory exchange platform for cryptocurrency, and offers fast, clean, powerful and UI transaction speeds that are very convenient. ETERBASE provides exceptional experience to traders, with ultra fast speed trading. That way the users of ETERBASE will be more comfortable when the order take process. ETERBASE is capable of processing millions of transactions in just a matter of seconds. Thanks to the low latency features, everyone can do fast trading comfortably and neatly. 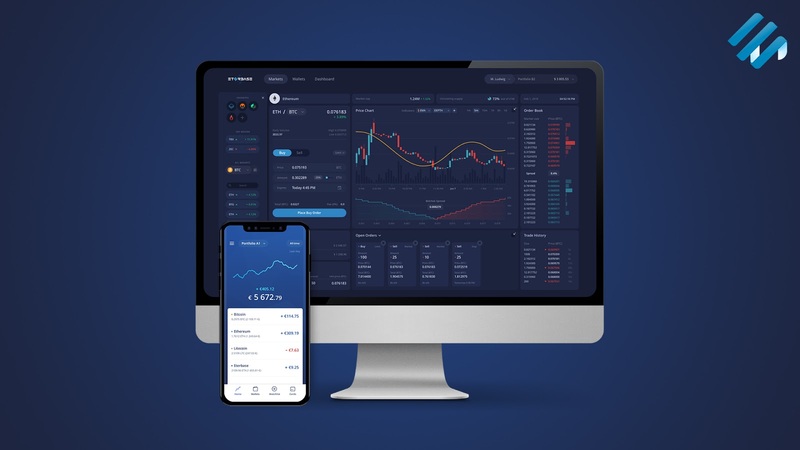 ETERBASE will also be a great cryptocurrency exchange platform with great transparency. Assets will be stored on two different wallets. A small portion of the funds will be deposited on an external wallet, which later this wallet is used to serve users in withdrawals and deposits. Then there is also a cold wallet to secure the asset in large quantities. All will be transparently tracked by ETERBASE users so everyone knows that ETERBASE will never commit fraud against its users. Because the majority of exchangers do not meneydiakan pair between BTC and FIAT, then many newcomers who struggle when they want to jump in the world of crypto.FIAT is the official currency that can be used to transact internationally. FIAT is a currency that already has the power, so ETERBASE will allow its users to swap their FIAT with cryptocurrency. Some world currencies like USD, EUR, GBP and others will be available on the ETERBASE platform. Asset security is a key aspect to be addressed by ETERBASE. As previously reported, Mt GOX reported losing 650K BTC, or now equivalent to 2.6B USD, then Bitfinex reportedly retaliated in 2016 and losing 120K BTC, and soon there is also Bithumb, a reported korean exchange has been hacked. Things like this will certainly make the panic of users, even the whole world. There will be dumps up to tens of percent, because of this hacking case. ETERBASE will make all digital assets safer using advanced security technologies. Then another interesting feature is the zero fee service for ETERBASE users in trading. Zero fee is a favorite feature of traders, to maximize their trading results. Fee is very detrimental to traders who always make transactions. The requirement to get Zero Fee service is that you must become a Premium Member, or by saving 100,000 XBASE. One of the benefits of ETERBASE is the availability of DebitCard services that make its users easier to control their money. Card owners can use their cards to shop, buy airline tickets, and buy anything for personal use. When first creating DebitCard, the user will be given a choice, will be used to store cryptocurrency and cash or want to use to spend money like normal DebitCard. XBASE Token is the official token of the ETERBASE platform used as your membership tier measure against the ETERBASE platform. The more you have XBASE, the higher your tier. The higher the tier, the more services you can enjoy. But for those of you who do not have XBASE, you can also enjoy the services available, although not as complete as Premium members. For those of you SmartPhone users, ETERBASE will be available in its mobile version and will be ready in some future time. That way you will more easily access EtherBASE platform anywhere and anytime. Okay friends, I think that's all I can say about my opinion of ETERBASE. 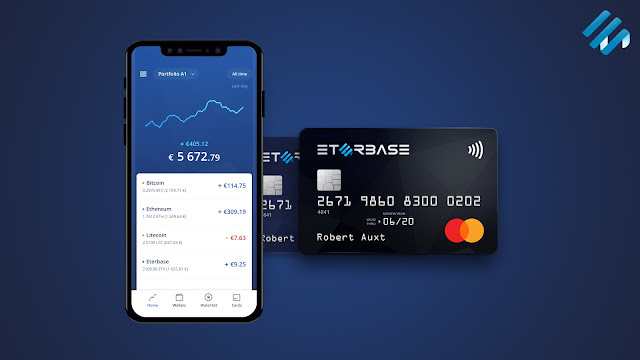 I strongly agree if ETERBASE become a superior exchange, because the features and services provided by ETERBASE is very supportive for me as a person who often sell and buy digital currency assets.